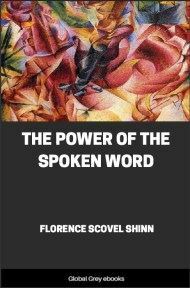 The Power of the Spoken Word takes you to the heart of Florence Scovel Shinn's teachings by emphasizing the importance of affirmations and how they change your life. By paying more attention to how we speak, and hence how we think, we can change our circumstances for the better. 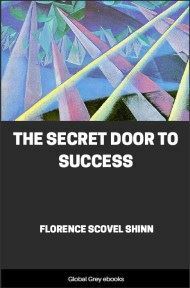 This book will help you make the positive changes that you've always wanted to make. "I have weapons ye know not of! ; I have ways ye know not of! I have channels ye know not of! Mysterious weapons, mysterious ways, mysterious channels! For God works in mysterious ways His wonders to perform." The trouble with most people is that they want to know the way and the channels beforehand. They want to tell Supreme Intelligence just how their prayers should be answered. They do not trust the wisdom and ingenuity of God. They pray, giving Infinite Intelligence definite directions how to work, thereby limiting the Holy One of Israel. Jesus Christ said: "When ye pray, believe ye have it." What could be more simple or direct? "Become as a little child if you would enter the kingdom." We might paraphrase the scriptures and say, have the expectancy of a little child and your prayers will be answered. A child waits with joyful expectancy for his toys at Christmas. I give the illustration of the little boy who asked for a drum for Christmas. The child does not lie awake at night agonizing over his drum wondering whether he will get it. He goes to bed and sleeps like a top. He jumps out of bed in the morning ready for the happy day before him. He looks with wonder at that which is before him. The grown-up person spends sleepless nights agonizing over his problem. Instead of a drum, he has spoken for a large sum of money. He can't think of any way it can come, and will it come on time? He will tell you he has perfect faith in God, but, he would like to know more about the channel and how it is to be done. The answer comes, "I have weapons ye know not of." "My ways are ingenious, my methods are sure." "Trust in me, commit your ways unto me." Committing your ways unto the Lord seems very difficult to most people. 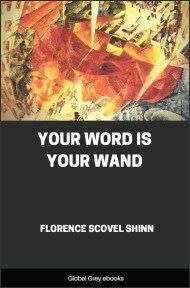 It means, of course, to follow intuition, for intuition is the magic path, the beeline to your demonstration. Intuition is a Spiritual faculty above the intellect. It is the "still small voice" commonly called a hunch, which says, "This is the way, walk ye in it." I refer to intuition very often for it is the most important part of Spiritual development. It is Divine Guidance. It is the God within, it is the eye which watches over Israel and never slumbers or sleeps. With it, nothing is unimportant. Acknowledge me in all your ways and I will make plain your path. Remember — despise not the day of small things (of seemingly unimportant events). It is very difficult for a person who has always followed the reasoning mind, to suddenly follow intuition, especially people who have, what they call, regular habits. They are accustomed to doing the same thing every day at the same time. Meals like clockwork. They get up at a certain time and go to bed at a certain time. Any deviation upsets them. We have the power of choice — we may follow the magic path of intuition, or the long and hard road of experience, by following the reasoning mind. By following the superconscious we attain the heights. In the intuition, are the pictures of eternal youth and eternal life, where death itself is overcome. We have the power to impress the subconscious mind with the picture of Eternal youth and Eternal life. 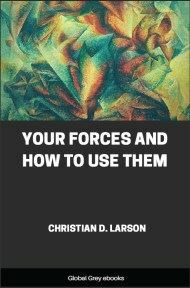 The subconscious, being simply power without direction, carries out the idea, and we have our bodies transmuted into the body which can never die. We see this idea partly expressed in the moving picture "The Lost Horizon." Shangrila was a symbolic picture of the "World of the Wondrous," where all conditions are perfect. There is a Spiritual prototype of your body and affairs. I call it the Divine Design and this Divine Design is a Perfect Idea in your superconscious mind. 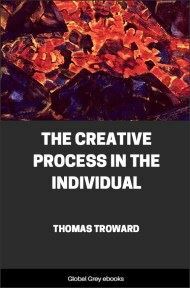 Most people are far from expressing the Divine Idea of their bodies and affairs. They have stamped the contrary pictures of disease, old age and death upon the subconscious, and it has carefully carried out their orders. Now we must give a new order; "Let me now express the Divine Idea in my mind, body and affairs." If you will impress the subconscious by repeating this statement you will be amazed at the changes which soon take place. You will be bombarded by new ideas and new ideals. A chemical change will take place in your body. Your environment will change for the better, for you are expanding rapidly into the Divine Plan, where all conditions are permanently perfect. "Lift up your heads, ye gates, and be ye lifted up, ye everlasting doors; and the King of Glory shall come in. Who is this King of Glory? The Lord (or Law) strong and mighty. The Lord mighty in battle." Now remember, the Bible is talking about thoughts and states of consciousness. Here is a picture of the Perfect Ideas of the superconscious mind, rushing into your conscious mind. Gates and doors are lifted up, and "The King of Glory comes in." "Who is this King of Glory? The Lord strong and mighty. The Lord mighty in battle." This King of Glory has weapons ye know not of and puts to flight the army of the aliens (the negative thoughts entrenched in your consciousness for countless ages). These negative thoughts have always defeated the manifestation of your heart's desire. They are the thought forms which you have built up in your subconscious by constantly thinking the same thoughts. You have built up a fixed idea that "Life is hard and filled with disappointments." You will meet these thoughts as concrete experiences in life, for "Out of the imaginations of the heart come the issues of life." "My ways are ways of pleasantness." We should all build up in consciousness a picture of peace, harmony and beauty and some day it will push itself into visibility. The Divine Idea of your life often flashes across your consciousness as something too good to be true. Very few people fulfill their destinies. Destiny means the place you were destined to fill. We are fully equipped for the Divine Plan of our lives. We are more than equal to every situation. If we could get the realization back of these words doors would fly open and channels be cleared. We could actually hear the hum of Divine activity, for we would be linked with Infinite Intelligence which knows no defeat. Opportunities would come to us from unexpected quarters. Divine activity would operate in and through all our affairs and the Divine Idea would come to pass.